This unit performs the same duty as the two models above in terms of closure and speed. It is a free standing unit and is ideal where there is an existing conveyor in place, or where the bag is only a few grams in weight (eg. light weight seed packets). This machine can be used to seal and weld continuous runs of plastic material. 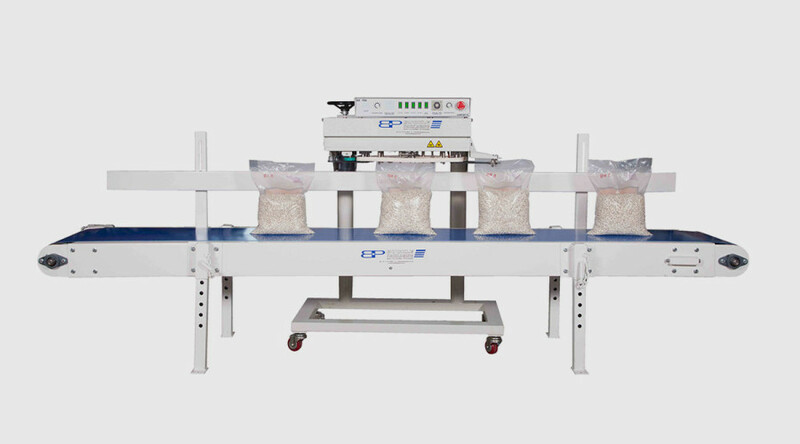 Hanato EX720 Continuous Band Sealer Because it is able to be positioned over existing conveyors the size and weight of the bag can be a lot bigger and heavier. Sealing head complete with pedestal and dolly on castors. 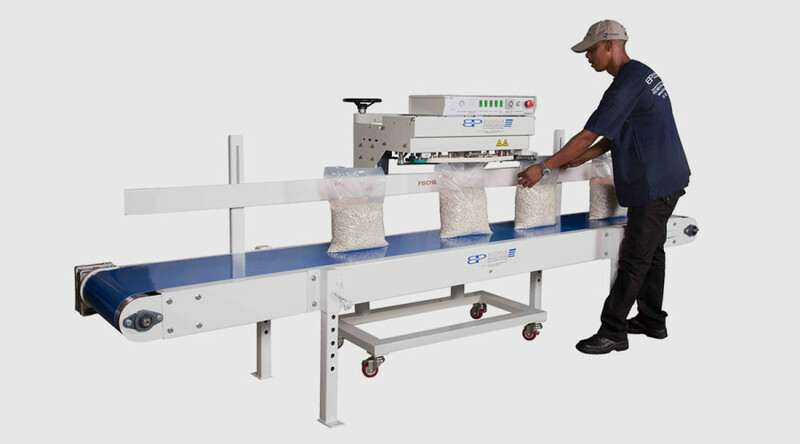 Excluding conveyor and printer.